Are you struggling to find new readers? Maybe you have a brand new blog, or you’re someone who’s ready to get serious about your place in the blog-o-sphere. Any which way, growing your blog following can be pretty tough! Now that I’ve been blogging for a year I feel I have a little authority on how to increase blog views. I’m no expert, but what I’m going to share with you are the things I do every day (or at least every week) to keep readers coming to my blog. This may seem like a no-brainer, but it’s so important for promoting your writing. Sharing your blog posts is the easiest way to get more eyes on your work! I’m doing well on Twitter, but the rest I’m still working on. Pinterest has not captured my attention yet but I’m trying really hard to get going over there – I’ve read it’s a really good platform for bloggers! The thing about social media is the time it takes to post as often as you “should” to get maximum exposure. I use Hootsuite for Twitter sharing and I schedule things on my FB page but otherwise it’s all free form for me. There are a lot of posts and infographics with the “best times” to post across the media platforms. I read through a few while creating this post and found they don’t all give the same advice. I say pay attention to when your audience is online and customize your own posting schedule. Just recently I realized my Twitter peeps are more active in the evenings, so I try to post once or twice at night. I am available as a Social Media Manager if you need some help getting your strategy sorted out. Click through here to read more about this opportunity. 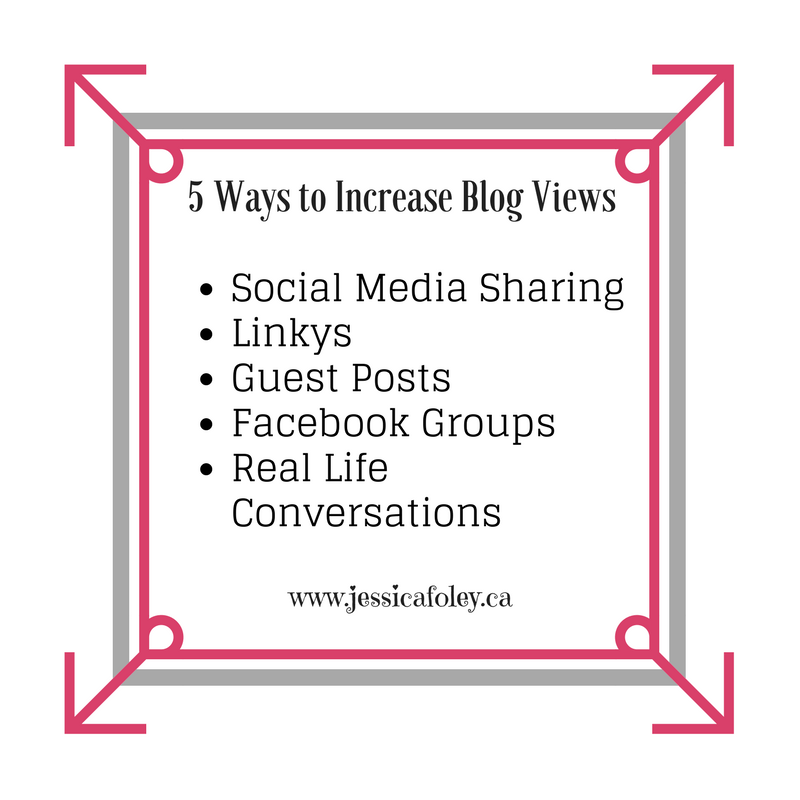 Linkys really help increase your blog views. They get you some great comments too! There are so many linkys out there that you could spend all week just linking up and participating. I only join up when I know I can take the time to reciprocate properly. My 2 every-week linkys I participate in are Monday Morning Blog Club (#MMBC) and #ALittleBitOfEverything. Some weeks I’ll join Su from Ethan and Evelyn in her #FabFridayPost and I love #GlobalBlogging but I can’t join 4 or more in a week. I feel badly if I don’t take the proper time to comment and share other posts. If you have time in your blog life, getting a post on another blog is great for expanding your reach. Watch for other bloggers in your niche who are looking for guest posts. Bonus points if they have a larger following than you! I’ve been able to do a few guest posts, but sometimes I have a hard enough time getting my own posts ready to go on time. If you are interested in sharing something on my blog, visit my Guest Posts page. You’ll find my information and the sorts of posts I like to share with my readers. I have joined a ton of Facebook groups. Truth be told I don’t participate in a lot of the “share a link and reciprocate ALL in the list” posts. Frankly I don’t want to share everyone’s posts. They don’t all fit my niche and my readers. But I like being in the groups for the support and the community feel. I can ask questions, and often get a lot of input. And it’s great for back end support as well – if I’m trying to use a feature of WordPress and I can’t figure it out, often someone else has. Some groups have a lot of rules, and others don’t mind if you want to share your links just because you’re proud of your own work. FB groups can be an easy way to increase blog views. Tell your friends you have a blog. Share it on your personal Facebook profile. Maybe your co-workers would love to read your writing. Don’t be afraid to talk about blogging in your day-to-day activities. I’ve been surprised by the number of people who are interested in reading my work! So much so that I went and got business cards made with my blog name and web address. I also put on there that I’m an influencer in Kingston, ON and I do photography. Now I have something to give people after I casually drop that I’m a blogger in my everyday conversations! Those are the weekly things I do to try to increase blog views for my website. I definitely see an increase on the days I join up with linkys. And I am seeing more engagement now that I’m being a little more active on Pinterest. As a social network it’s really not my thing, but I’m learning how best to share my blog post pins and I do see some returns. What do you do in your week to get eyes on your blog? Is there something that I should be doing, but am not? Please share any tips and tricks for me and my readers. And be sure to subscribe to my blog and learn along with me. You’ll see the sign up box in my sidebar. I can help you market your blog – click to get my tips in your inbox! Let’s boost your blog views! I use LinkedIn, Facebook and Instagram to promote my posts. I do not over post to resist appearing “spammy”. I tried Periscope and twitter but they were not for me – perhaps it was the wrong time. I know others who are thriving on these platforms but I quite frankly felt invisible. I have been blogging for nearly three years and would like my readership and comments to significantly increase. I enjoy writing and am constantly developing these skills. Thanks Phoenicia! I just started getting into LinkedIn – it doesn’t feel as blogger-friendly to me. Twitter took me a while to get a foothold in, but I’m feeling more confident there now. The trick in the beginning is to follow a bunch of people in your niche. Some of them will follow back and then you can sift through their followers as well. It’s a lot of work, but it does work out. Just don’t follow too many in the beginning – I think Twitter has a limit when you start as to how many people you can follow. Once your followers grow somewhat you’re good to go! Best of luck – and stick with me. If and when I learn something new or important I’ll be sure to share here or in my newsletters! Great advice, thank you fir sharing. Great tips Jess! I found partaking in linkies to be the best way of increasing post views, it can be time consuming, but is well worth putting the time in to get around peoples posts. Scheduling posts on social media is a good tip too. Pinterest is something I do enjoy browsing but have also yet to get the hang of. Maybe one day we will get a ‘light bulb’ moment and suddenly know how to use it to our benefit! There is a lot to be said for visiting favourite blogs and leaving comments. I find it works for me. Pinterest is up there for me to get stuck in to, I haven’t really pushed that one as yet. I do ok with Twitter and StumbleUpon too. Thanks Jayne! I’m happy to include your linky – I enjoy the idea of commenting on whatever post you’d like to. I haven’t even looked at StumbleUpon. I feel so bogged down already with everything I’m trying to keep up with! I agree with all your tips. Like you I struggle with Pinterest but I really enjoy getting to know bloggers by joining linkies. I think that you also need to be patient, my blog views have increased slowly but steadily as have my Twitter followers. Interestingly I find that even in the summer holidays they remain fairly consistent despite the fact that I am not posting so much and most of my followers are parents. Thanks Catherine. It is good to hear that your following doesn’t dwindle over the summer. I hadn’t really thought about that part of being a mom blogger. Here’s hoping we can figure out the magic strategy for Pinterest! I’m sure you’ll find some great linkys Deanna. Thanks for your kids words. I hope you can put a few of my ideas to good use! Thanks for the tips. Going to try out linkys. To share, the channels that are working best for me now are FB groups and Flipboard. For whatever reason, Twitter is almost entirely useless for me, though I’m active on it. I’m probably doing something wrong, somewhere. Great tips – I definitely agree with all of these. I’m actually amazed at the amount of people I know IRL who quietly read my blog without ever interacting. Then they drop something I’ve written about into conversation and it’s a surprise! But at least they’re giving me pageviews 🙂 Thanks for linking up to #EatSleepBlogRT. Hope you join again next time. I find the same thing about IRL friends and family. I don’t know how to suggest to them to interact with my posts and social media shares. They could help me boost my traffic! But ya, the pageviews are nice. Thanks for visiting! LinkedIn is the most active social media platform in terms of getting traffic and engagement to my blog. I do use Twitter sometimes but frankly, I don’t really like it. I have my URL on my personal IG account but don’t actively tell people about it but form analytics, I know I do get some traffic from there. It’s weird but I hate telling people I personally know about my blog. I actually never tell people. I feel more comfortable with strangers reading my posts for some reason. I’m just getting into LinkedIn. It doesn’t feel like the most natural place to promote myself and my mom blog. I joined a Bloggers group on there and I’m thinking about finding some more. How do you use LinkedIn for blog promotion? Any tips for me? Thanks for sharing Emily! I agree with you about managing how thin you spread yourself. I’m on a “time out” from one of the blogger groups I belong to because the commenting was sucking up all my time and I was falling behind on my work so I’m a little reluctant to try “Linkys” but I do like the idea of getting my blog in front of new readers so maybe I can find one just to give it a try. Thanks for the tips! I find it very time consuming! That’s why I try to schedule some Tweets with Hootsuite and just last night I scheduled a few FB posts to round out the week. But I don’t get a lot of “organic” traffic so I have to share my posts in order to get people to see them! Thanks for visiting. I use SocialOomph and Buffer. Mostly for Twitter though but sometimes for Facebook. Totally agree! Don’t underestimate the power of social media. I realised I post content and then forget to push that little Twitter or Facebook button, it’s so simple yet brings a lot of traffic to your blog! And obviously linkys are the second best way! Great post, really useful thanks for much for posting with #StayClassyMama! 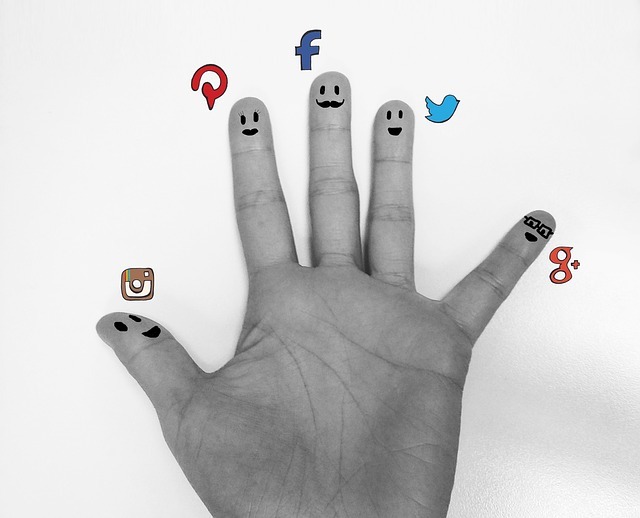 It’s so true – sharing your content is the best way to get it seen. I do enjoy the sense of community you get by visiting the same linkys every week too! I’m glad you found my post helpful! Very true Helena. Pinterest is for sure a search engine. I think that’s why I struggle with it! Hi Jess. I’ve not really heard much about Linkys. Perhaps I will check it out, although I am reluctant to take on yet another step in promotion my blog. I have a few sharing groups that I belong to, and I love how they bring such a variety of voices to my site. Linkys can be fun, but they can also eat up your time. That’s why I try not to join too many. There are so many ways to promote blogs, but really only so many hours in day…. All the writing in the world just doesn’t get seen without promotion, am I right? I would recommend finding one or two linkys to join each week. You may be surprised at the sense of community it can bring to your blog! I’ve never heard of Linkys before but that sounds interesting. I use Facebook groups a lot, but I’ll agree with you that I’m not into sharing everyone’s posts. It seems kind of silly to me. Like, I’m a health and diet coach. How am I going to share your quadruple brownie sundae recipe on my social platforms? It doesn’t make sense for either of us. Yes! That’s exactly what I mean about “all or nothing” threads. I’m really picky with what I participate in on FB groups. I’m trying to connect with other bloggers in my “working moms” niche so I can find consistent content to share that’s relevant for my readers too! For a recent blogger as myself this is a very useful list. One thing I do is keyword research when I am looking for topics to write. This way trying to come up with posts containing information that fits my niche, but also is searched by people. Do you do something like this? If so, what is your strategy when it comes to keyword research? Hey Nat! I totally wing it when it come to keywords. I try to use words that represent my topic without too many joining words (to, and etc.) Maybe I should do some research, but truthfully I often write blog posts on the fly, create a few images and then schedule it. I’m going to keep this idea in mind! Thanks for sharing.